Since you’re reading this article, it’s safe to assume that you or a loved one suffer from Restless Legs syndrome. You’ve probably read dozens of articles on this mysterious condition. You have come to learn that there is a PRIMARY type of RLS (where the condition develops naturally, without an obvious cause) and a SECONDARY type of RLS (RLS caused by another underlying health condition). The truth is that there is only ONE kind of RLS, the kind that is caused by chronic inflammation. There is no other type of RLS. Ankylosing Spondylitis (a chronic inflammatory disease of the axial skeleton) is another condition that you can add to the large number of inflammation-based conditions that show a higher prevalence of RLS. A recent study (Tekatas and Pamuk, 2015) found that RLS was significantly more common in patients with Ankylosing Spondylitis compared with healthy controls (30.8 versus 13.2 percent). The latin suffix “itis” denotes diseases characterized by inflammation. For example, Arthritis (inflammation of one or more joints), Colitis (inflammation of the colon) etc. You can be certain that any disease or condition that ends with “itis” is going to demonstrate a higher prevalence of Restless Legs Syndrome within its community. The “itis” disease and RLS are both a result of an underlying chronic inflammation. Many doctors and scientists believe that the primary cause of most diseases is an underlying inflammation. And that belief is growing in leaps and bounds within the medical community. How it eventually manifests or “shows up on the surface” is based on the lifestyle and genetics of each individual. In some cases it may manifest as cancer, in others as ALS, and in many it manifests several ways. Depression, IBS, Crohn’s disease … the combinations are endless. 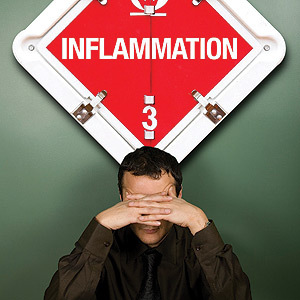 Almost any ailment you can think of has the same issue at its core … inflammation. If you don’t believe me, do a web search “Depression and inflammation”, “ADHD and inflammation”, “Parkinson’s and inflammation” etc. You’ll find a wealth of information on how they are intimately and undeniably linked. The fact is, most of the people that contact me with questions or comments have other medical conditions that they are dealing with in addition to their RLS. These conditions are ALWAYS inflammation-based. 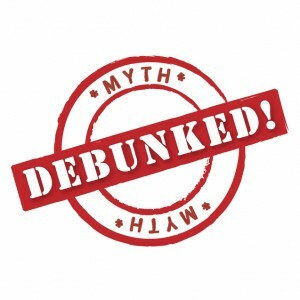 As stated, the reason that RLS has a higher prevalence in relationship to so many medical conditions is because the RLS and the medical condition result from the same core issue – chronic inflammation. They’re like different fingers on the same hand. We’re focused heavily on RLS, because that’s what we’re dealing with in life. That’s how the chronic inflammation has manifested in our lives. However, you can take ANY inflammatory condition and find that there is a higher prevalence of any other inflammatory condition (provided there has been a study done at some point). RLS is not unique in this mysteriously connected world. To illustrate this fact, I’ve taken RANDOM pairs of conditions from the list of inflammatory diseases linked to RLS http://www.rlcure.com/diseases-conditions-that-are-linked-to-restless-legs-syndrome-willis-ekbom-disease.html and did some research to see if there is any known link between these random pairs. from “Anemia” by MediResource Inc.
from “Depression is more common in people with diabetes compared with the general population” by the Canadian Diabetes Assc. from “Association between ulcerative colitis and multiple sclerosis.” (Pokorny et al. 2007). You could spend weeks mixing and matching the various conditions. What you’ll find is that there is always a higher prevalence, a definite link between them. I’m going to use fibromyalgia in this mini-study to show that the link that RLS has with various inflammatory medical conditions is not unique. You can find similar links with any inflammatory condition – cancer, colitis, depression etc. but in this case I’m going to use fibromyalgia as the benchmark. from “Restless legs syndrome and leg cramps in fibromyalgia syndrome: a controlled study.” (Yunus and Aldag, 1996). from “Fibromyalgia and obesity: the hidden link” (Ursini et al. 2011). After reading the above data, hopefully you’ll come to understand that the link between RLS and other inflammatory conditions is not unique at all. This whole belief about there being a PRIMARY and SECONDARY RLS just isn’t real. It’s like saying there’s a PRIMARY and SECONDARY depression, or a PRIMARY and SECONDARY migraine. I urge you to do your own research in this area. Take any pair of conditions that interest you from this list http://www.rlcure.com/diseases-conditions-that-are-linked-to-restless-legs-syndrome-willis-ekbom-disease.html and do a search to see if they are knowingly linked. Eventually you’ll realize, that without a doubt, there is growing inflammation beneath the surface that is causing this laundry list of conditions. RLS is only one of its many faces.